Manufacturer: Baroque Pharmaceuticals Pvt. 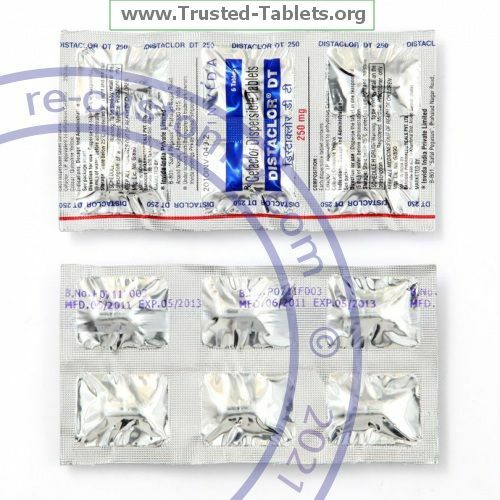 Ltd. / Ranbaxy Laboratories Ltd.
CEFACLOR is an cephalosporin antibiotic. It is used to treat infections of the skin, respiratory tract, sinuses, ear, and urinary tract. It will not work for colds, flu, or other viral infections. Take this medicine by mouth. You can take it with or without food. If it upsets your stomach it may help to take it with food. Take your medicine at regular intervals. Do not take it more often than directed. Take all of your medicine as directed even if you think you are better. Do not skip doses or stop your medicine early. If you miss a dose, take it as soon as you can. If it is almost time for your next dose, take only that dose. Do not take double or extra doses. There should be an interval of at least 4 hours between doses. Store at room temperature between 15 and 30 ℃ (59 and 86 ℉). Throw the medicine away after the expiration date.